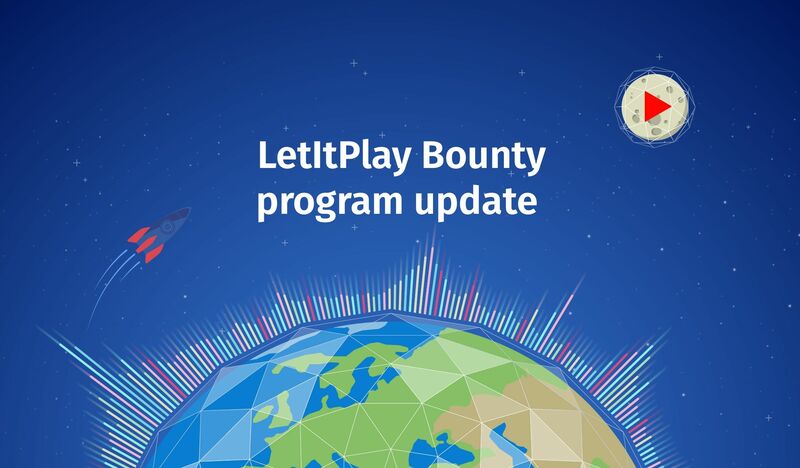 We're updating our bounty program to make it more oriented towards attracting new Content providers that will make our platform more popular among end users. We started a new Content Provider campaign. We want to attract to LetItPlay new Content Providers: news websites, podcasters, YouTubers and any other content creators whose content can be consumed as audio. We decided to stop those campaigns that were not effective for the LetItPlay promotion and were not popular among participants. Reddit, Steemit, Telegram and Signature campaigns will be canceled. The reward for previous periods will be paid at a special rate; however, new members will not be able to enroll in these campaigns from 18.05.2018. More languages were added to translation campaign to attract more people to our worldwide community. We also added some new documents for translation: «Summary» and «One pager». Finally, we decided to support Chinese community by creating a Wechat group, so we established a special reward for supporting our group in Wechat. You can check the details in the relevant section of our bounty thread.